A Metro survey found a majority liked adding National Mall to the Smithsonian station name. The same Metro survey found nearly 3/4 of people didn't want Kennedy Center added to the Foggy Bottom - GWU station name. Any signage changes must be finalized by April 30, and the District is responsible for any costs, which could get into thousands of dollars. Big changes could be coming to the names of two busy D.C. Metro stations to help riders get to their locations easier. The Washington Metropolitan Area Transit Authority is trying to decide whether to add "National Mall" to the name of the Smithsonian station. They are also considering adding "Kennedy Center" to the Foggy Bottom-GWU station name. When people think of the Smithsonian Institution complex of museums in Washington, they probably also think of the National Mall, the national park covering the area from Lincoln Memorial to the United States Capitol. The two locations are side by side, and the Smithsonian Metro station has an exit that comes out on the south side of the Mall. But when thinking about the John F. Kennedy Center for the Performing Arts, more commonly known as The Kennedy Center, do people associate it with the Foggy Bottom/George Washington University area? 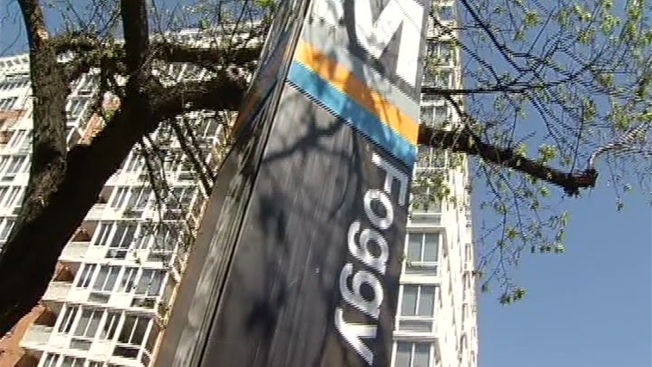 The center is about a half mile away from the Foggy Bottom-GWU Metro station. A survey commissioned by Metro found only 26 percent of respondents support a name change involving Kennedy Center. However, more than half, 54 percent, were in favor of adding National Mall to the Smithsonian Metro station name. There is a practical concern if the name of a Metro station changes as well. Changing the name means changing the signage and the pylons that indicate locations to station entrances. Adding Kennedy Center to the Foggy Bottom-GWU pylon makes for a crowded sign. According to a Metro presentation set to be delivered Thursday, the District would have to foot the bill for the changes to station signage, and it gets into the thousands of dollars. Patrick Duffy, a Metro rider, said with Metro's current state of affairs, a station name change should be the last thing officials think about. “Oh, they're terrible,” Duffy said. “I take the Blue Line going into Alexandria, and sometimes I wait 45 minutes to get on one that's not totally packed." If a station name change is approved, Metro said the signage would change when the next phase of the Silver Line opens in a few years, so all maps and signs could be updated at once. Any signage changes must be finalized by April 30.